Sh Ch Normbar Coleen of Maursett made her mark as a star in the Maursett Kennels. She went on to have an occasional, but very successful, foray into veteran classes (from which she was awarded a Res CC at a breed club show). 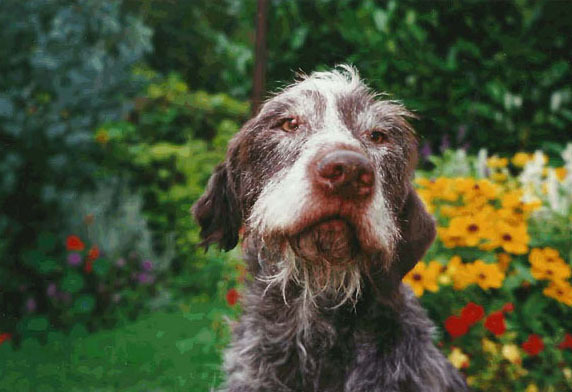 German Wirehaired Pointers have always had a big part to play in the Maursett household. Whilst we no longer breed or show GWPs, they remain a very significant part of our life in the world of dogs. Maureen and Tony both award CCs in the breed and Tony had the honour of being Secretary of the breed club - The German Wirehaired Pointer Club. They may be headstrong, wilful and plain wicked at times, but the GWP has really left a lasting impact on us. 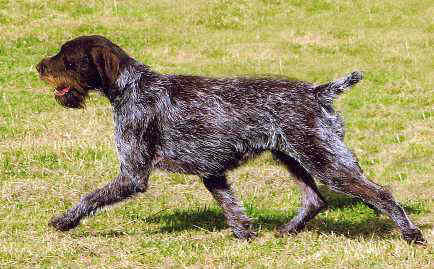 Fizz (Sh Ch Normbar Coleen of Maursett ) is our final German Wirehaired Pointer to grace the showring and as a working gundog. She has truly been one of the stars of the with the Maursett Mob. It was hard for us to believe that 2008 saw Fizz entering into the Veteran classes! 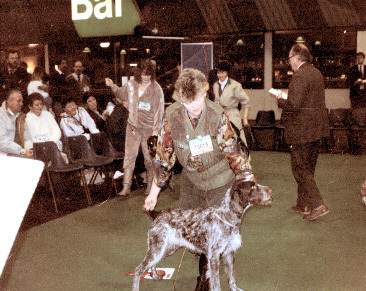 Fizz's daughter, Sh Ch Maursett Marelda via Normbar owned by Norma Ellis, gained her title at quite an early age and is a regular worker as well - like the Clumber Spaniel, the German Wirehaired Pointer is truly a dual purpose gundog achieving success in both the show ring and as working gundogs. The line continues to win and it is always a delight to have left a positive mark on the breed for the future. 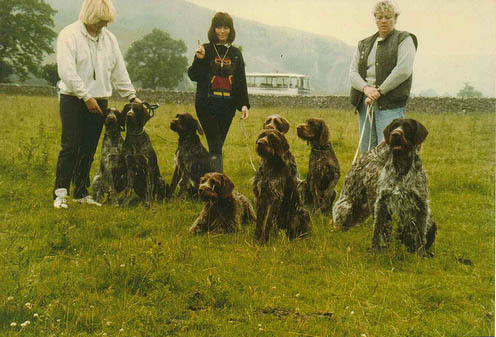 It is also pleasing to hear that Liesl's litter sister and brother - Normbar Olympia and Normbar Austin (out of Sh Ch Maursett Marelda via Normbar) - have both had successful starts to their show careers in German Wirehaired Pointer classes in Australia. It was a big blow to us when we lost Lynsett Alfons at Maursett (Fonz) just before Christmas 2000. He was full of character and Tony's constant companion - and as good a working gundog as you could ask for. A grand old man just a few weeks before he went to Rainbow Bridge. He worked hard and played hard.